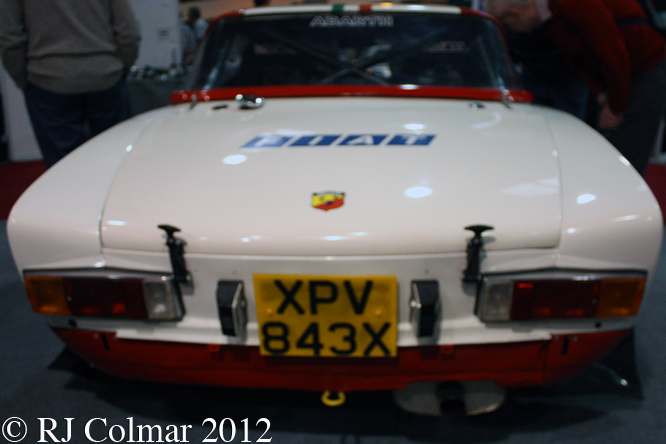 Abarth who’s reputation was primarily built on racing and hill climbing products was introduced to rallying with a Twin Cam FIAT 125 programme in 1970 and in 1972 the company started building and competing with a competition hardtop version 124 Spyder body, a model launched in 1966, for it’s Rally programme. 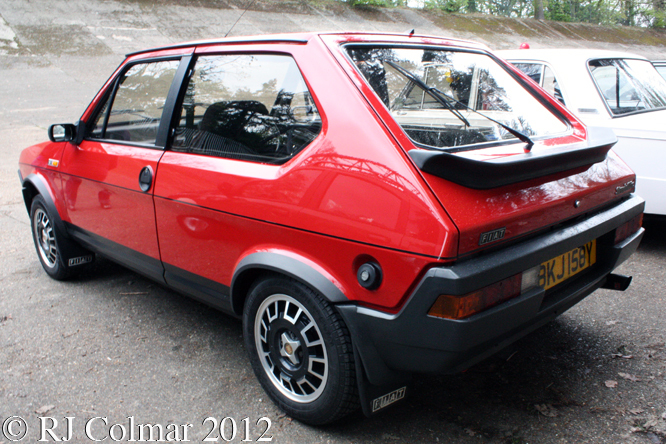 Initially the 124 Abarth Rallye was fitted with 1850cc / 112 cui versions of the FIAT four cylinder twin cam designed originally by former Ferrari man who became Abarth’s first President under FIAT management Aurelio Lampredi, a change in rules in 1974 permitted 16 valve heads to be fitted and engine sizes of 1850cc and 1756 cc / 107 cui were used in competition. Success for the 124 Abarth Rallye included Rafael Pinto’s and Maurizio Verini European Rally Championship wins in 1972 and 1975 respectively, two wins on the Portugese Rally for Rafael in 1974 when he led a Abarth Rallye sweep of the podium positions and for Markku Alen in 1975 who with Ilka Kivimäki in the passenger seat led home 2nd place finishers Hannu Mikkola who was partnered by current president of the FIA Jean Todt. 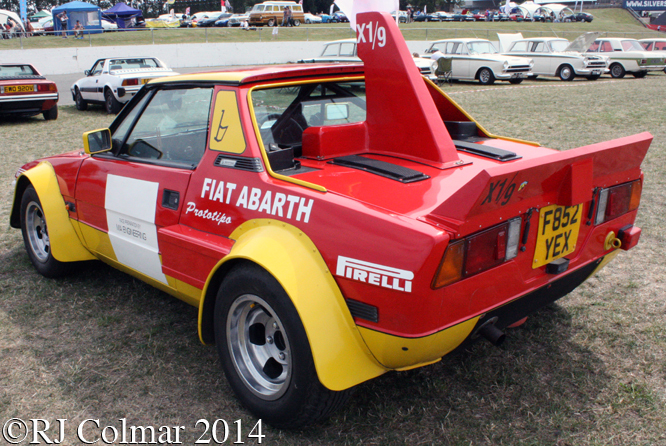 FIAT also finished second to Group stable mate Lancia in the 1974 and 1975 World Rally Championships, in all 1,013 hardtop FIAT 124 Abarth Rallyes were built between 1972 and 1975 when the programme was wound up to make way for the World Rally Championship winning FIAT Abarth 131 programme. 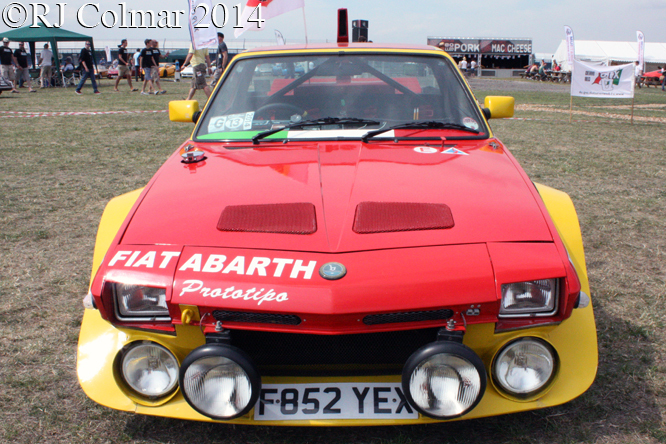 Today’s featured Abarth Rallye, appearing with 1981-’82 UK registration plates at Race Retro a few years ago, was originally supplied to a privateer for use in the Italian National Rally Championship, it is currently fitted with an ultimate works spec fuel injected engine. Thanks for joining me on this “Proving The Car’s Strength” edition of “Gettin’ a li’l psycho on tyres” I hope you will join me again tomorrow when I will be looking at a one off Formula Junior Car. Don’t forget to come back now ! 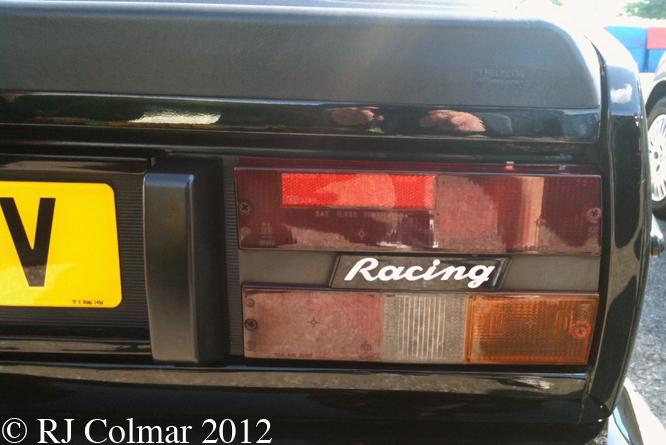 This entry was posted in Uncategorized and tagged 124, Abarth, Alén, Colmar, Fiat, Kivimäki, Lampredi, Mikkola, Pinto, Psychoontyres, Rallye, Ralph, Spyder, Todt, Verini on April 8, 2016 by Ralph. 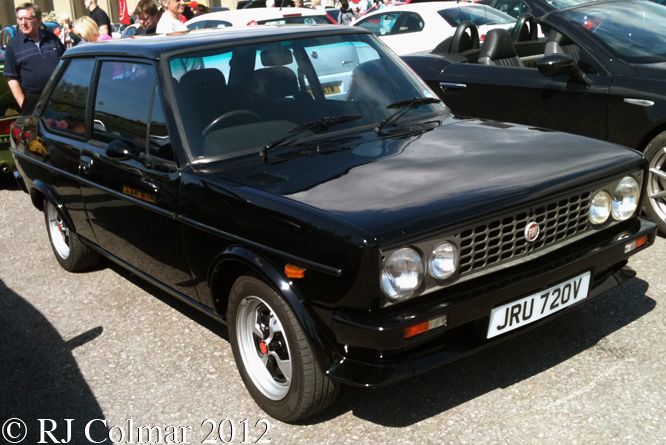 Three years after the launch of the rebodied FIAT 128 based Ritmo / Strada range FIAT introduced it’s first “hot hatch” version the 105TC in 1981. 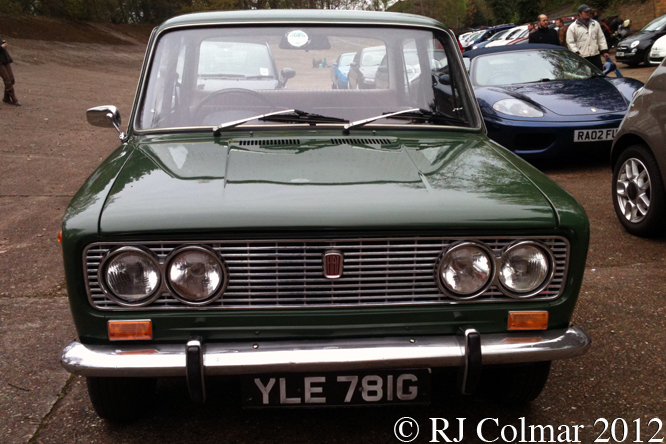 The most important performance improving feature of the 105TC was the 104hp 1,585cc / 96.7 cui twin overhead cam engine that was derived from FIAT’s 124, 131 and 132 models. Available only with a 3-door body 105TC’s were also equipped with front fog lights integrated into the front bumper and integrated front spoiler combined with wheel arch extensions. 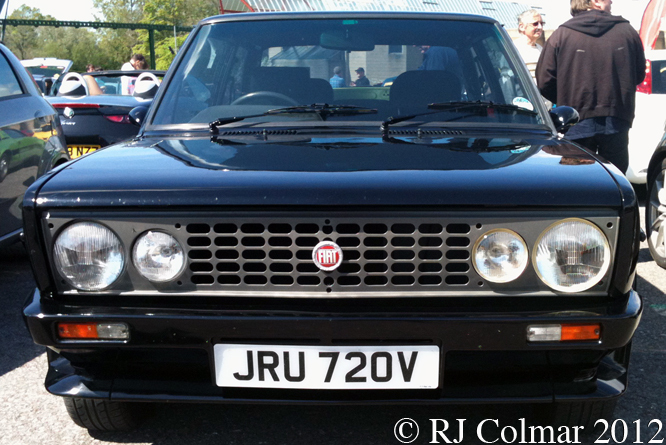 UK Strada 105TC’s were supplied with Speedline alloy wheels as seen on this example at Auto Italia Brooklands. 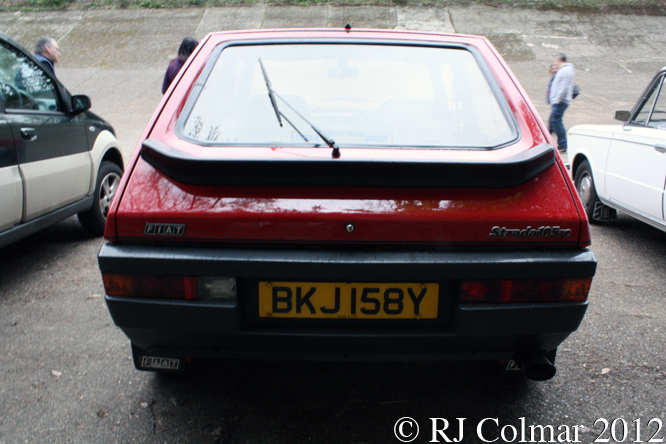 From the rear 105TC’s were distinguished by the rear spoiler mounted below the rear window, this magnificently preserved example was first registered in the UK on the 14th of August 1982. Thanks for joining me on this Portello Caldo edition of “Gettin’ a li’l psycho on tyres” I hope you will join me again tomorrow when I’ll be looking at a motorcycle powered racing car. Don’t forget to come back now ! 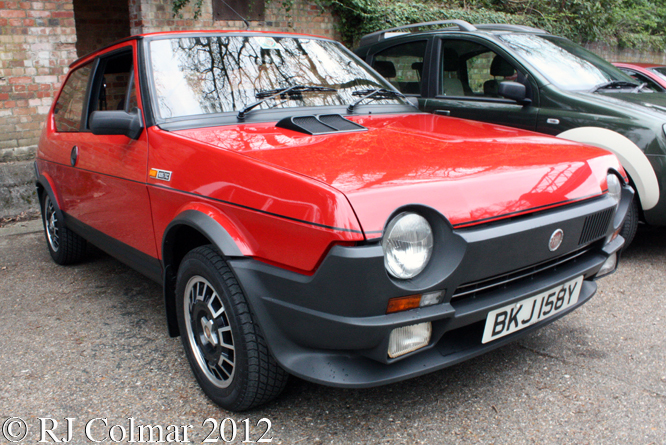 This entry was posted in Uncategorized and tagged 105TC, 124, 128, 131, 132, Auto, Brooklands, Colmar, Fiat, Italia, Psychoontyres, Ralph, Speedline, Strada on March 11, 2016 by Ralph. 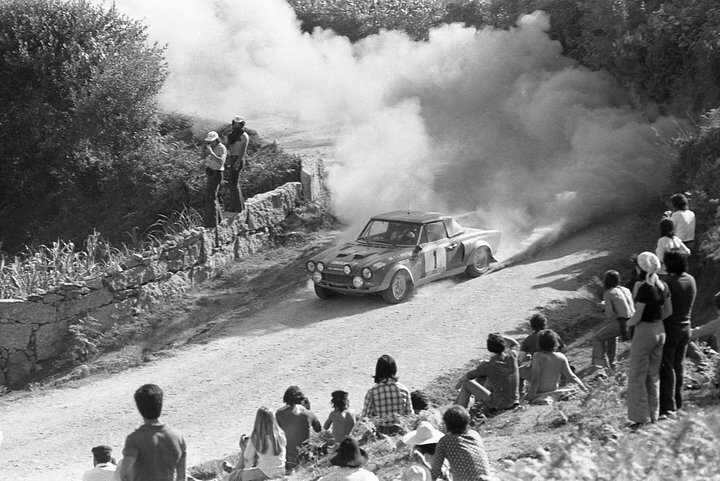 After acquiring Lancia in 1969 the FIAT group found it’s self with two marques competing for honours in the Rally competition, Lancia with the Fulvia that was to be replaced by the Ferrari powered Bertone designed Lancia Stratos HF in 1973 and Fiat with the Pininfarina styled 124 Spider that would be replaced in 1975 by the Abarth 131. Just as those competition models were being changed Abarth also built the Abarth X1/9 Prototipo for evaluation in competition. 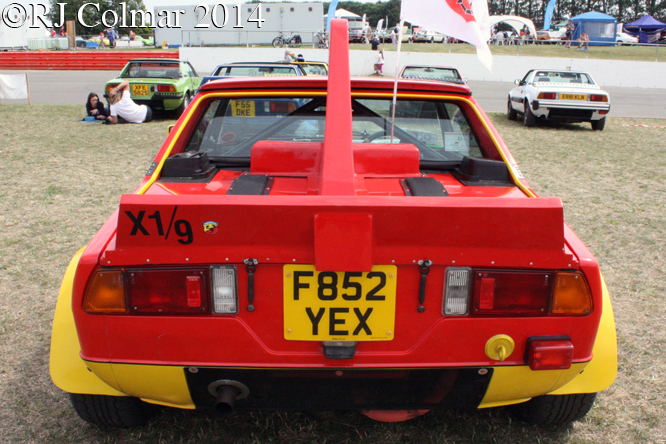 The X1/9 was designed to exceed the latest US crash test standards so the chassis was immensely strong however it was also a little too heavy for the initial standard FIAT 128 based single overhead cam 1300 cc / 79 cui engine that produced 75hp. 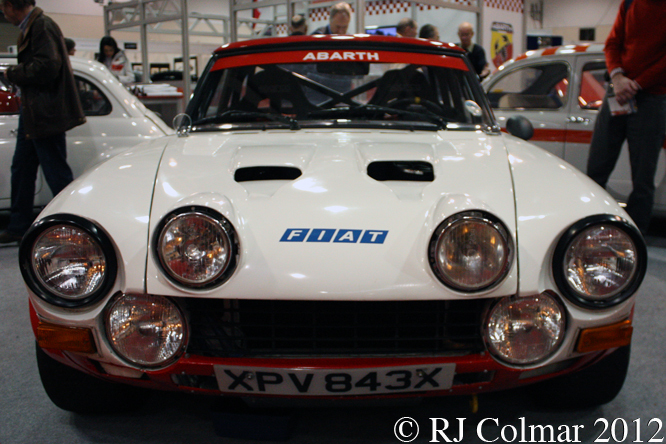 Abarth elected to replace it initially with a 200hp 1,834 cc / 111 cui twin over head cam engine 16 valve lifted from the competition 124 spider and later examples with a 1,756 cc / 107 cui version of the same engine. So far as I have been able to discern the Abarth X1/9 Prototipo’s only offically appeared on two events in 1974 the first was the Tour d’France where three cars were entered of which the #122 shared by Fulvio Bacchelli, Piero Sodano and Sergio Barbasio was the only finisher in 8th place. A month later Fulvio partnered by Piero Scabini was teamed up with Ferrari Formula One driver Clay Regazzoni and Gino Macaluso for an attack on the Giro Automobilistico d’Italia from which both cars retired with engine failure. In all it is believed that alongside the original 1973 Prototipo four further examples were built 3 of which were used in competition in 1974 and the fourth is believed to have been built as a Stradale road car. 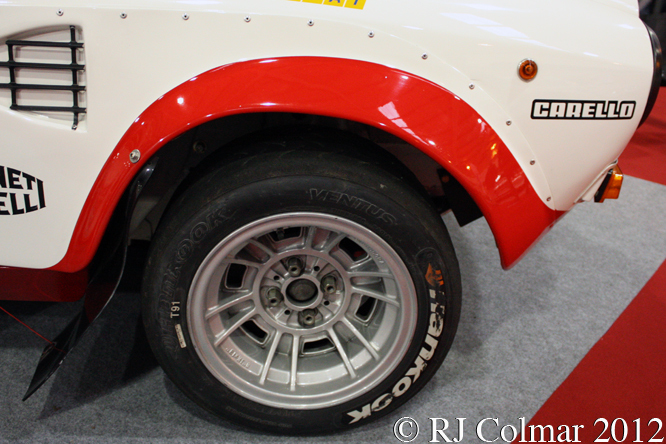 The Abarth X1/9 programme gave way to the Abarth 131 programme which secured FIAT three World Rally Championship titles in 1977, ’78 and ’80. 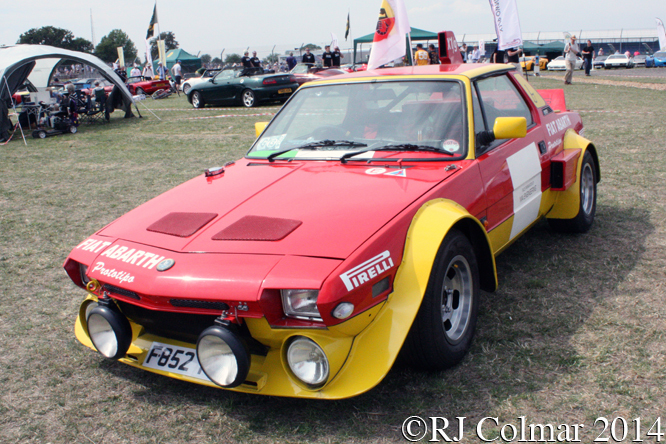 The Replica Prototipo seen in these photographs at Silverstone Classic, was built on a 1988 FIAT X1/9 manufactured by and marketed as a Bertone X1/9, but imported as a FIAT, with a 1500 cc / 91.5 cui single overhead cam 8 valve engine. Thanks for joining me on this “Replica Prototipo” edition of “Gettin’ a li’l psycho on tyres” I hope you will join me again tomorrow. Don’t forget to come back now ! 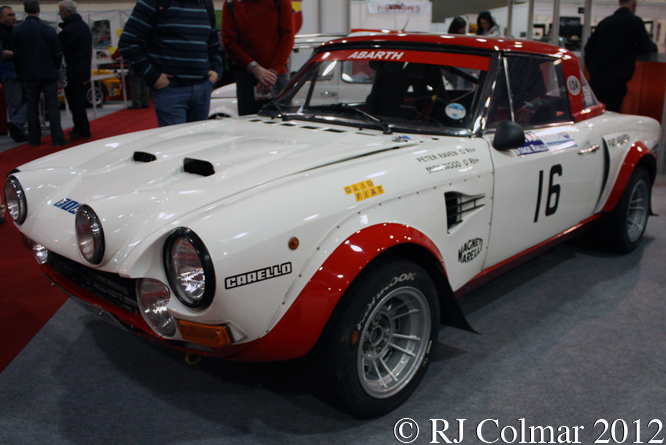 This entry was posted in Uncategorized and tagged 124, 128, Abarth, Bacchelli, Barbasio, Bertone, Classic, Colmar, Fiat, Macaluso, Prototipo, Psychoontyres, Ralph, Regazzoni, Scabini, Silverstone, Sodano, Spider, X1/9 on March 4, 2016 by Ralph. 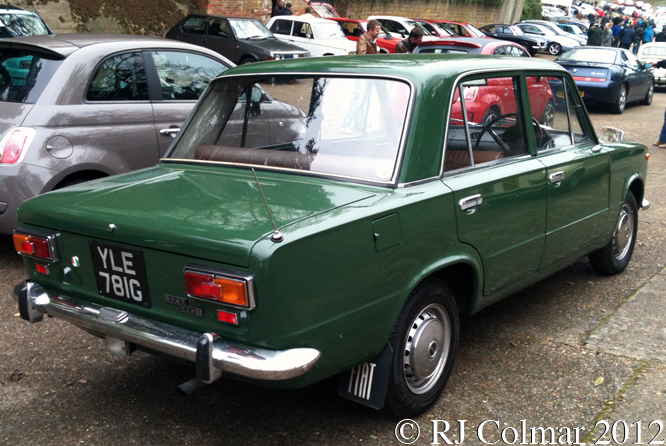 Like the FIAT 124 I looked at last week, the FIAT 125 launched in 1967 shared some parts with it’s predecessor notably in this instance the longer chassis from the FIAT 1500. 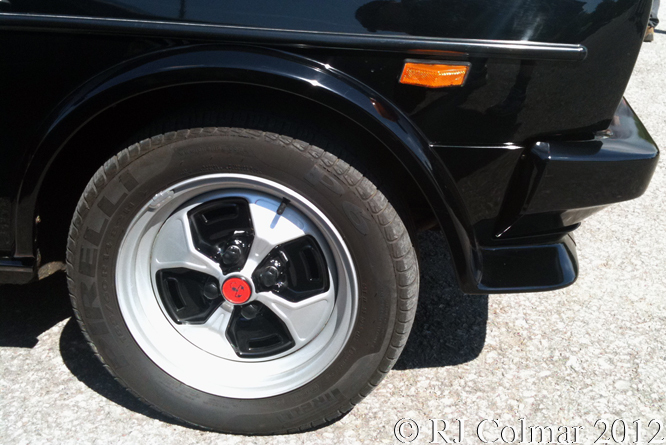 The doors and passenger compartment of the FIAT 125 are identical except that the rear seat is mounted 3 inches further back thanks to the slightly longer wheel base. 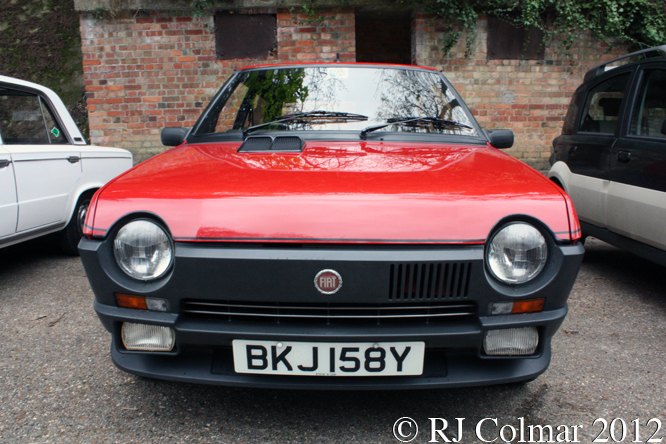 The 90hp twin overhead cam 1600 cc / 97 cui 4 cylinder motor was shared with some of the later FIAT 124 Sport Coupé and Sport Spider models as was the initial 4 speed gearbox. 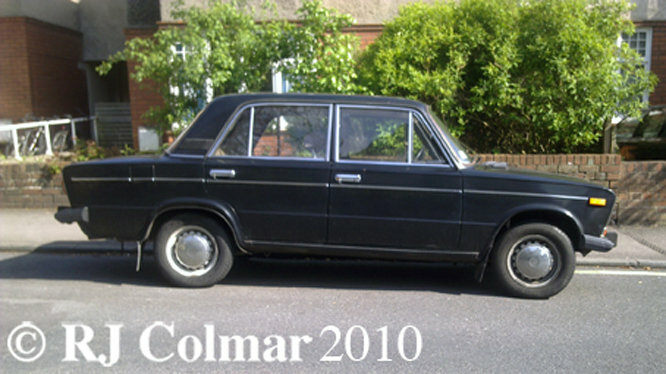 Like the FIAT 124 the 125 was a global car with examples built in Argentina, Columbia, Chile and Morroco while further 125P variants with less powerful motors were built in Poland, Yugoslavia and Egypt. 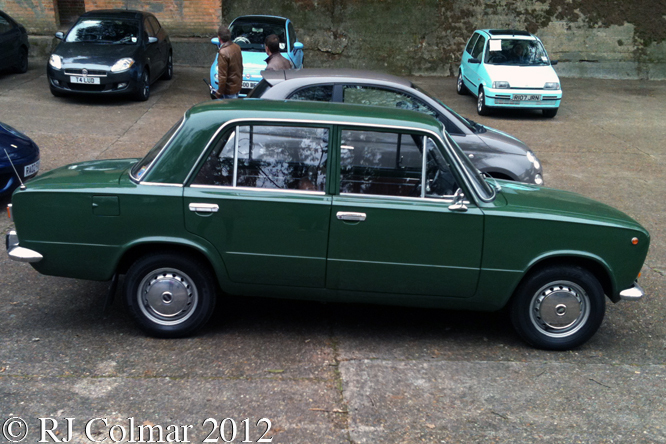 FIAT stopped building the 125 in 1972 but production continued elsewhere until the early 1990’s. 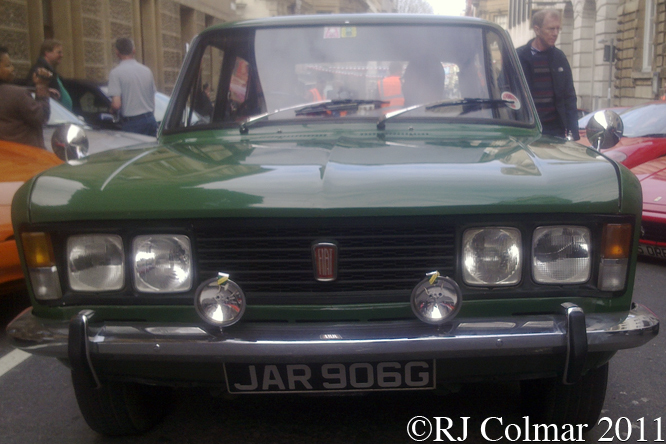 This particular car seen at the Bristol Italian Auto Moto Festival was built in 1969 and first registered in the UK on April Fools day of the same year. Thanks for joining me on this “Bigger Faster 124” edition of “Gettin’ a li’l psycho on tyres” I hope you will join me again tomorrow when I’ll be looking for answers to the story about a mysterious 500 Formula 3 car. Don’t forget to come back now ! 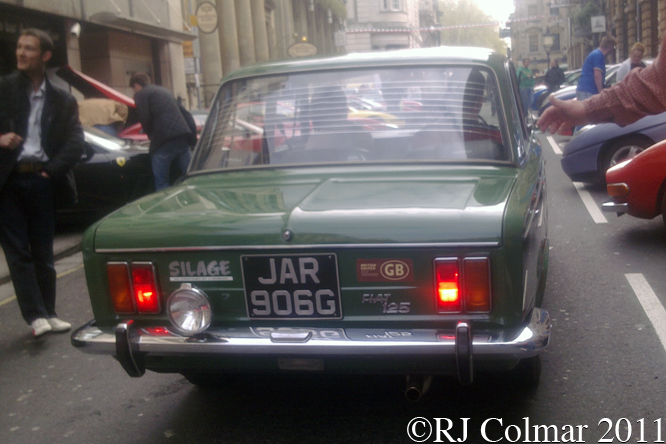 This entry was posted in Uncategorized and tagged 124, 125, 125P, 1500, BIAMF, Bristol, Colmar, Coupé, Fiat, Psychoontyres, Ralph, Saloon, Sedan, Spider, Sport on May 29, 2015 by Ralph. 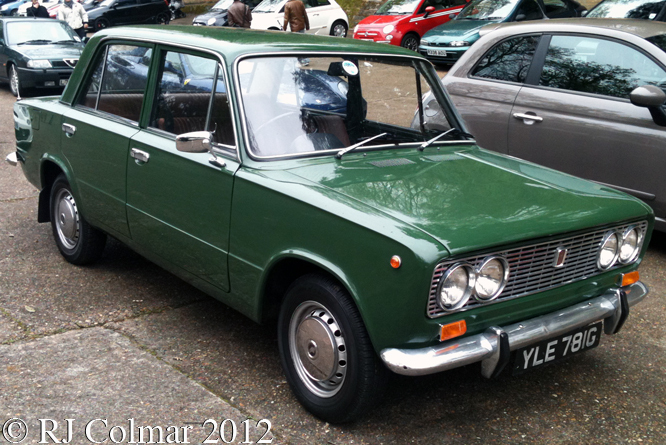 In 1966 FIAT replaced it’s 1300/1500 range with the FIAT 124, a fresh design led by Chief Engineer Oscar Montabone which was awarded the 1967 European Car Of he Year accolade by a collective of European journalists. 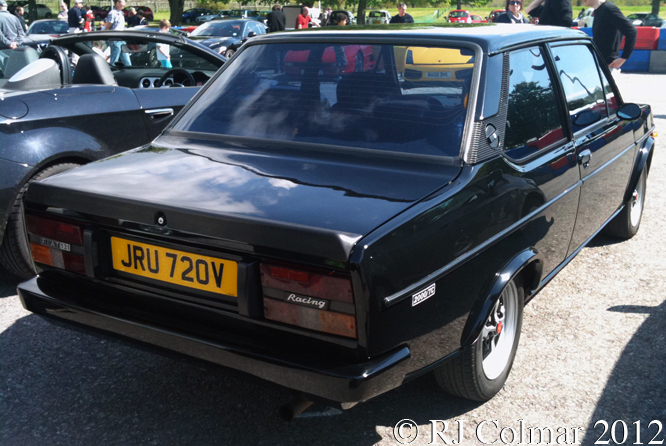 The 124 range, which included 4 door saloon/sedan, 5 door estate / station wagon, Coupé and Spider models, was powered by a variety of motors producing from 60hp to 115 hp for the 2 litre / 122 cui overhead cam motor that was used in the Spider. Today’s featured 1969 FIAT 124 S is powered by a 1,438 cc Over Head Valve 4 cylinder engine that produces 74 horsepower transmitted to the rear wheels through a 4 speed fully synchromeshed manual transmission. 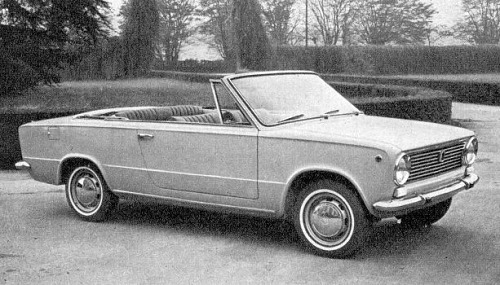 FIAT 124 trivia includes a one off 124 2 door convertible that turned out to be the last car built by Carrozzeria Touring in Milan. 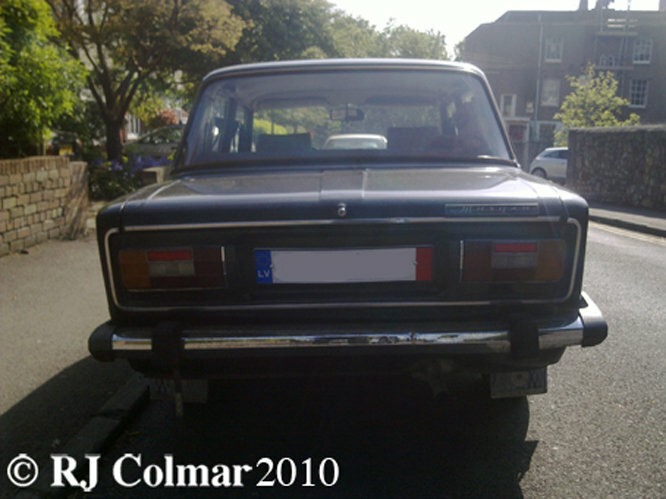 The FIAT 124 went on to become an early global car as production expanded to the Soviet Union with the Lada brand, India, Spain with the SEAT brand, Bulgaria, Turkey, Korea, Egypt, Morocco and land locked Zambia in southern Africa. 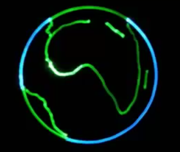 It was in Zambia that this correspondent took his first driving lessons on the open road at the wheel of a Zambian built ’74 FIAT 124 S.
Thanks for joining me on this “’67 ECOTY” edition of “Gettin’ a li’l psycho on tyres” I hope you will join me again tomorrow when I’ll be looking at another 500 Formula 3 car built just down the road from me in Clifton, Bristol. Don’t forget to come back now ! 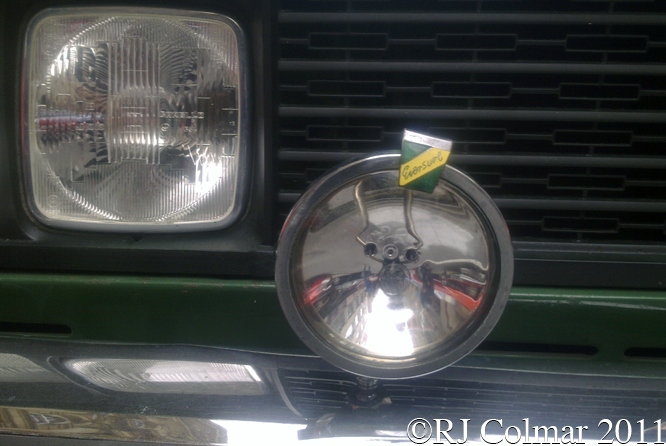 This entry was posted in Uncategorized and tagged 124, Auto, Brooklands, Colmar, ECotY, Fiat, Italia, Montabone, Psychoontyres, Ralph, S, Saloon, Sedan, Touring on May 22, 2015 by Ralph. 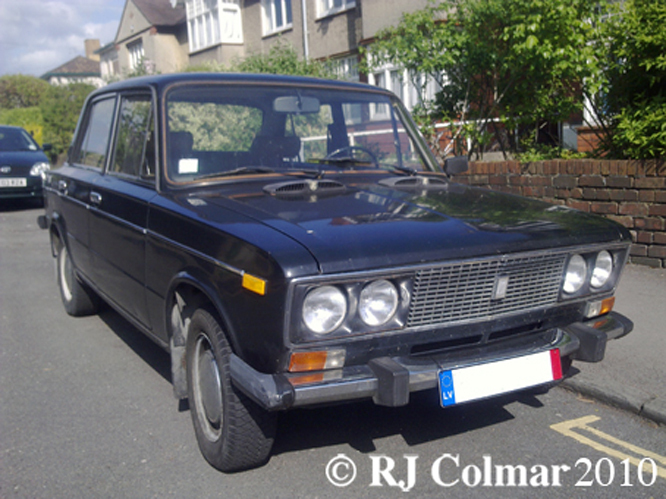 Well OK it is a Lada but this one is branded for the home market. 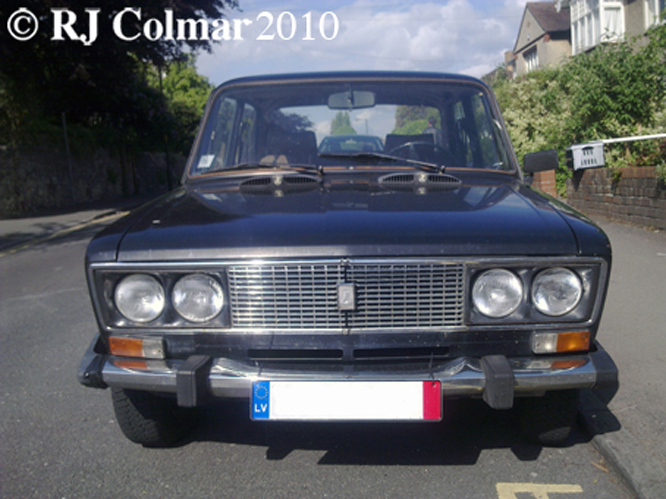 Avtovaz originally called Volzhsky Avtomobliny Zavod or VAZ for short marketed its FIAT 124 derivatives under the Lada brand for export, around 60 % of production and under the Zhiguli brand inside Russia. 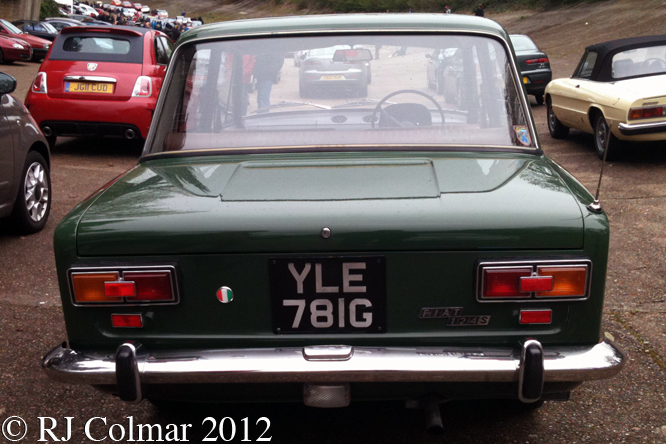 The cars they built were initially beefed up FIAT 124’s with thicker steel panels, smaller, more robust less powerful overhead cam engines not seen on any other FIAT vehicles, designed to run on low 93 octane fuel and fitted with aluminium rear drum brakes in place of discs. Perfect for harsh conditions from Siberia all the way down to deserts of Egypt. A couple of batches of these vehicles were supplied to the militia with rotary wankel engines allegedly based heavily on Mazda technology. Many of these militia vehicles, all supplied without revolution counters did not make it as far as their first oil change, upon failure these the motors were swapped out for the more conventional 4 cylinder 1.2 / 73 cui and 1.3 litre / 79 cui units. Rotary Zhigulis are still to be found in the preowned car market of Moscow. 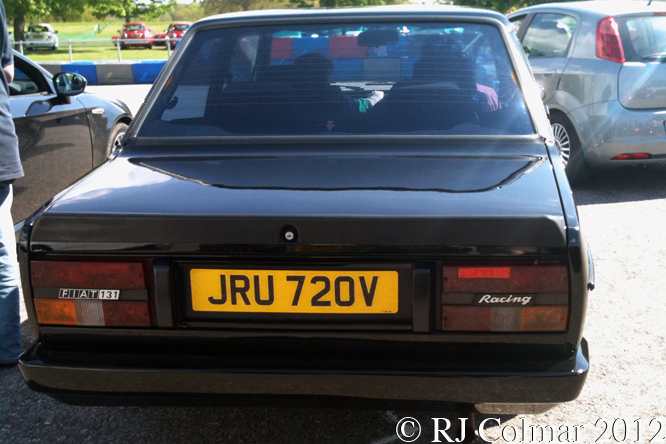 The overall body was little changed during production from 1970 to 1984 when the model was replaced by the Riva, itself a model once stripped of all the plastic and lights was pretty much the same as the 2103 series seen here. 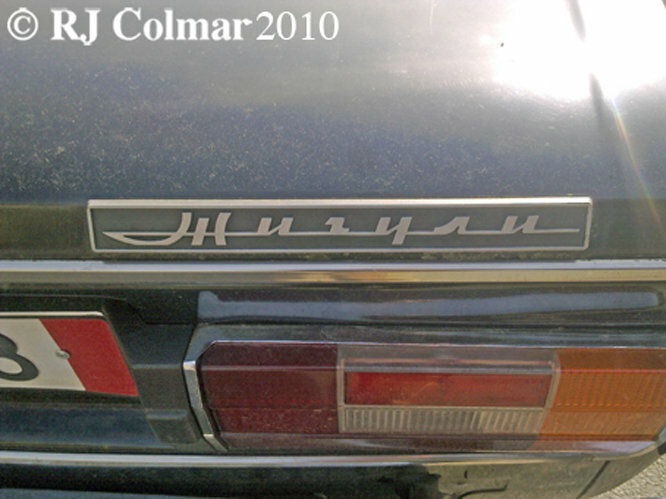 I managed to decipher Жигули in cyrillic script on the badge with a little help from Alexey Rogachev on The Nostalgia Forum. Alexey informs me that the Zhiguli name is taken from the Zhiguli Mountains at the bottom of which is a town Tolyatti, named after an Italian communist, where these vehicles were built. It is thought somewhere around 18 million Avtovaz FIAT 124 derived vehicles have been built since 1970, incredibly later Riva derivatives are still being assembled to this day in a Suzuki plant in Egypt. Hope you have enjoyed this cyrillic edition of Gettin’ a lil’ psycho on tyres’, and that you’ll join me tomorrow Ferrari Friday. Don’t forget to come back now ! This entry was posted in Uncategorized and tagged 124, 2103, Alexey, Art, Avtovaz, Fiat, Forum, Lada, Mazda, Nostalgia, Psycho, Rogachev, Tidesco, Tolyatti, Tyres, Zhiguli, Жигули on December 9, 2010 by psychoontyres.